Health insurance is expensive. However, going without health insurance could end up costing you even more. 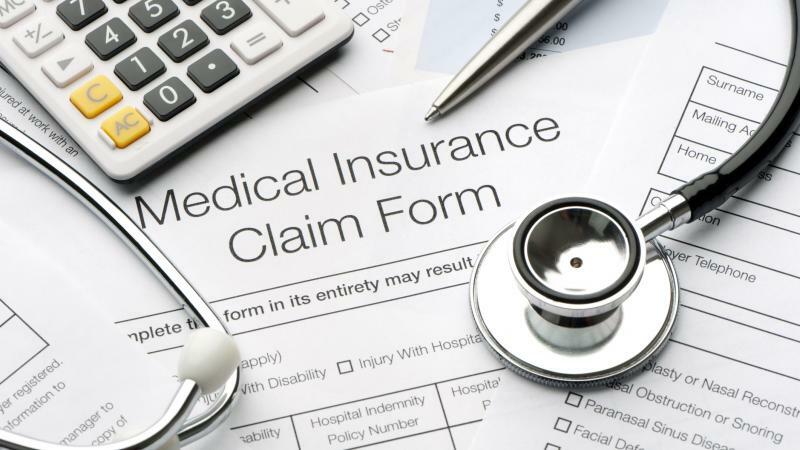 From tax penalties to unexpected medical emergencies, not being insured could cost you hundreds or thousands of dollars. Fortunately, open enrollment is here – and affordable insurance plans are available. December 15 is the deadline to change your health insurance plan or buy a different, more affordable plan. Before you decide to go without insurance, it’s important to know just what options are out there. Here’s everything you need to know about open enrollment and how you can find the most affordable plan that meets your needs. As a result of the Affordable Care Act, those who opt out of health insurance could end up paying even more money in the long run. Healthcare.gov¹ reports the annual penalty for 2018 was $695 plus inflation. And though the cost of the penalty may seem lower than what you’ll pay for insurance, the price you’ll pay out-of-pocket for an unexpected medical emergency could leave you scrambling. It’s possible to rack up tens of thousands of dollars in medical bills if you don’t have the safety net of health insurance. Having health insurance will give you peace of mind. According to Obamacare Facts², those with insurance will never pay more than the set cap of $7,350 in medical bills. However, if you don’t have health insurance, there’s no cap, meaning you’ll be held accountable for every penny. If you’re looking for the most affordable option, try an insurance broker. Often, it’s cheaper to buy directly from an insurance broker or insurance provider – they can offer plans you won’t find on your state’s health insurance exchange. Since policy changes from the Trump administration have cut much of the funding for subsidies, buying from a broker can be cheaper because insurance companies must provide low-priced options for consumers. To find an affordable coverage, it’s important to search your state or region for an insurance broker with plans and coverage levels that meet your needs. Remember to compare premiums so you know you’re getting the best coverage possible. Did you know it’s possible to join a group plan even if you don’t work at a company that offers health insurance benefits? According to the National Association for the Self Employed³ and the Alliance for Affordable Services⁴, those who work for themselves or for a smaller company can opt into a group insurance plan. Group insurance plans are offered by organizations, including alumni organizations and local clubs, meaning you could have access to a group plan and you may not even realize it. Joining a group plan will give you the option of lower premiums because the plan is based on a group rate. You’ll enjoy the benefits of a plan that offers all the coverage you need without having to pay extra every month simply because you’re an individual. One benefit from the annual open enrollment period is the option to make adjustments to your annual income – this is very important especially if you want to qualify for subsidized insurance plans. In order to qualify for a cheaper subsidized plan, your modified gross income must be $48,240 or less5. However, if your income is too high, you can take a look at your taxes, consider your deductions, and use these details to report a lower income. You can use your adjusted, or modified, gross income rather than your pre-tax salary to qualify for more affordable plans. Take a look at your take-home income, as there may be areas where you can reduce your income, such as business expenses, a new car, or other investments. During the enrollment period, you can save money by opting into an HSA (health savings account) – this option is for those who need a full-coverage plan. It’s a great way to save money from out-of-pocket medical expenses. When you choose an HSA, you’ll get a tax advantage – you can put up to $3,450 into a special account that isn’t taxed. And you can then use that money for any of your medical expenses throughout the year. You can be eligible for an HSA on your own or through an employer, as long as you’re part of a qualified high-deductible plan. Open enrollment is happening now – but if you don’t take action, you could miss out. You have only until December 15 to make changes to your health insurance or to opt into a more affordable option. Don’t risk paying the penalty, or even worse, having to pay out-of-pocket for sudden medical needs. It’s important to know that there are affordable health insurance options for every budget. Be sure you understand all your options by following the above tips and sending time to research online. One of the best things you can do right now is to compare different plans, coverage levels, and premiums. Don’t wait – because if you miss the deadline it will end up costing you.